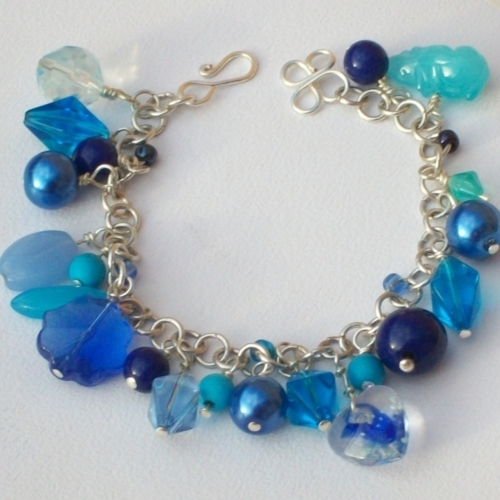 Bracelet made using a selection of blue glass charms, glass pearls and turquoise beads individually wire wrapped. 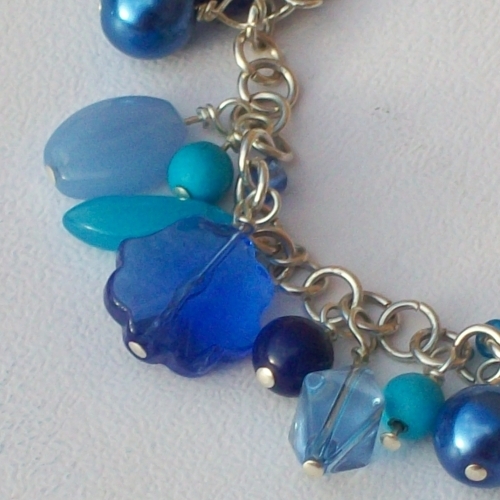 The chain links also has large seed beads spaced along the length of the bracelet. Finished with a hammered hook clasp. 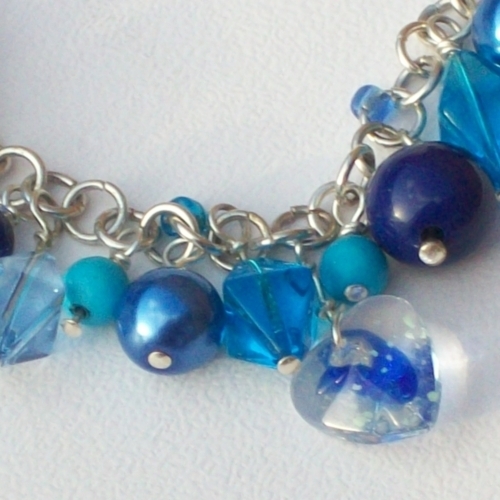 Bracelet is 8" in length, including clasp. 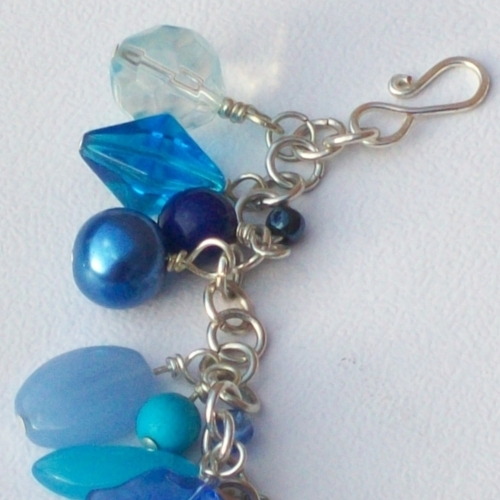 Made using anti-tarnish silver plated copper wire with glass, acrylic and turquoise beads.